Hi, it's Gini, here to share a little Technique Junkies inspiration with you. 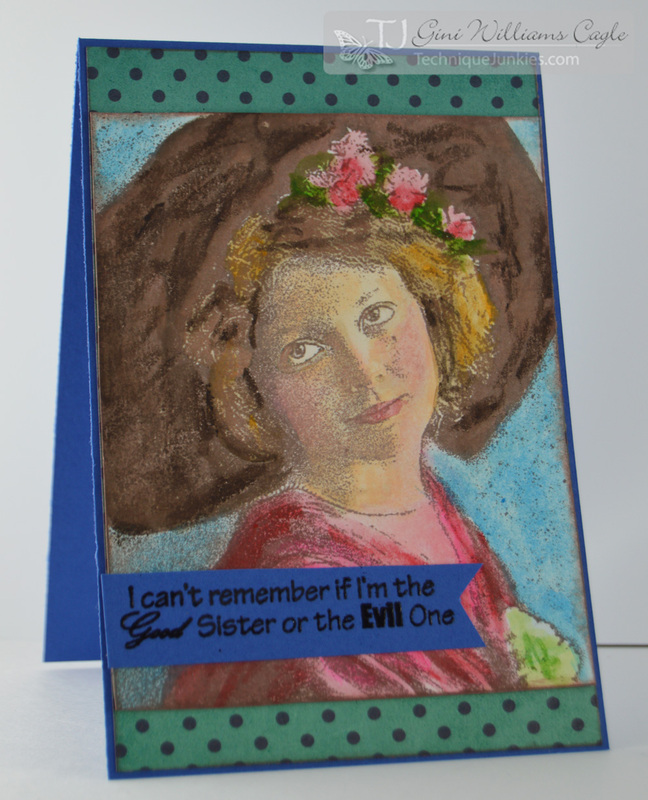 I had fun pairing this sweet and innocent Big Hat Girl with the cheeky Good or Evil sentiment. My focal image was colored with Gelatos directly to the stamped image.